1. Built-in update display function. 2. The extra function can be added such as Flash controller/SRAM/multiple communication interfaces. 3. Two ways of power supply resolution: DC input and USB input. 4. Provide reserved LED indicator lights and reserved keys. DESTM32-S2 is one part of the DESTM32-S. The DESTM32-S development board including the development board DESTM32-S1 and the pinboard DESTM32-S2. If you are new to e-paper, then maybe you also need the main board of demo, so you'd better go to buy the DESTM32-S. This DESTM32-S2 board is used to drive Good Display's parallel electronic paper, including the function of the power supplyand data refresh. Fits for 1.54 inch, 2.04 inch, 2.13 inch, 2.7 inch, 2.9 inch, 4.2 inch and 7.5 inch e-paper display. You can find out the e-paper display that you need in our store. Built-in update display function. Can be added such as Flash controller/SRAM/multiple communication interfaces. DESTM32-S2 is one part of the DESTM32-S. The DESTM32-S development board including the development board DESTM32-S1 and the pinboard DESTM32-S2. 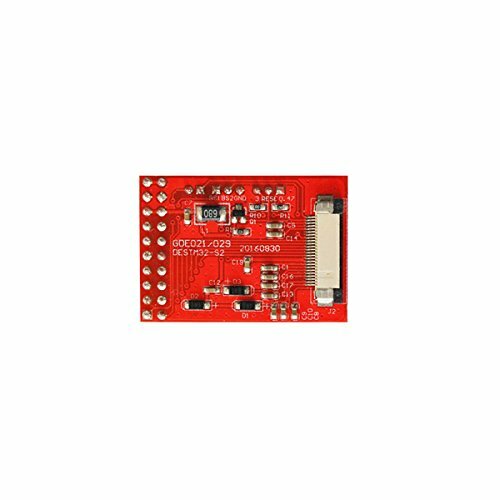 If you are new to e-paper, then maybe you also need the main board of demo, so you'd better go to buy the DESTM32-S.